Our focus at Oil Affinity is Aroma Freedom Technique. It is a step-by-step process for identifying and releasing negative thoughts, feelings and memories that interfere with reaching our goals and dreams. AFT is meant to be used as a way to set a person’s emotional energy flowing in a positive direction, towards growth and expansion rather than contracting in fear, doubt and paralysis. It uses Young Living Essential Oils to trigger a permanent shift in how we view ourselves and the world. We offer sessions that meet anyone’s needs. Please contact us for further information or to set up a session! Oil Affinity is my relationship with essential oils. I was introduced to essential oils through an acquaintance. After doing some research, I decided on Young Living Essential Oils and oil infused products. I truly related to their mission statement: Young Living Essential Oils honors its stewardship to champion nature’s living energy–essential oils–by fostering a community of healing and discovery while inspiring individuals to wellness, purpose and abundance. When you combine the mission statement, the Seed to Seal promise of pure essential oils, and the many ways they give back through their foundations there was no other company for me. 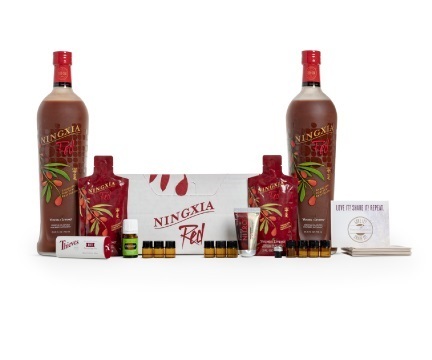 It wasn’t long after I started my journey with the essential oils that I was intrigued by the Feeling Kits. I purchased it and used it as suggested and was blown away by the release of emotions that I felt. Incredible! How could these drops of pure essential oils have that much affect on me? It didn’t matter to me how at that point, only that they did. I use the oils everyday and won’t go a day without them! My experiences with emotions and the oils led me to become a Certified Aroma Freedom Technique Practitioner in 2017. AFT uses pure essential oils for emotions and emotional releases in a simple process with, YES, incredible results! I am a better, kinder more humbled and joyful person because of these experiences. My goals are to inspire, encourage and help others to increase their emotional wellness. Aroma Freedom Technique will help you figure out what’s holding you back, help you let go of negative thoughts, beliefs and memories to connect you with your heart. It can bring about deep changes and a more optimistic mindset and happier life. Let go of negative limiting beliefs and self doubt? Release fear so you can take action towards your goals and accomplish your dreams? Shift your mindset to one of positivity and self-confidence? Release emotional triggers to stop cravings and maintain healthy weight management? If so, then contact me today for an Aromatherapy consultation and we’ll discuss your needs! Take a peek at a few of the starter kits below or read more on our Basic Starter Kit. Are you ready to replace harmful chemicals in the home using powerful, natural alternatives? and will have his bio soon! Nira’s childhood in South Africa motivated her to commit her life to helping people. That led to her attending medical school at Virginia Commonwealth University School of Medicine in Richmond Virginia and then an Internal Medicine/Pediatrics double specialty residency at University of South Florida in Tampa. There she met her husband, a surgeon, and they settled in Ocala, Florida. Unfortunately, practicing medicine was not what she had expected. Dealing with bureaucratic hoops placed in the way of real patient care was one thing, but what really frustrated her was the common paradigm: that if there is a problem there is a drug to “fix it”, when in fact, the vast majority of chronic medical disease is a result of poor lifestyle choices in the face of an over stressed population with inadequate coping skills. She felt like she was applying band aids or prolonging the inevitable instead of really healing people. Around the same time she felt this discontent, Nira and her husband lost their first child at 38 weeks of pregnancy. Shortly after her loss, she went right back to work, but the loss put into perspective how unhappy she was in medicine. So during her second pregnancy, which ended in a healthy baby boy, she decided to take extended time off for herself and her family and to take stock of her own situation. This time allowed her to realize she’d fell prey to the “overstressed” syndrome so prevalent in her own patients. She experienced first-hand the mind-body connection to disease, and how quickly unchecked stress could set a disease process in motion. She sought something to make herself whole again. That something was Yoga, and it changed her life. “I am healthier, more relaxed, positive, easy going, and happier than I have ever been,” Nira says. After experiencing these profound benefits in herself, she strove to learn more and share it with others, eventually becoming a registered Yoga instructor and a Yoga Nidra meditation facilitator. Then she met Ted Anders who invited her to join him on the LoveLight Campaign, which provides her an avenue to use her knowledge and experience to truly make meaningful changes in people’s lives. Donna Kerr Davis (Andervis) is focused on helping the world heal by showing people how to rise from the darkness of despair and embrace their true Light Nature. She is a Registered Nurse, a Reiki Master, an Alliance of Divine Love Interfaith Minister, A Lift Lift© facilitator and a health coach with Health Coach Institute®.